Sell your Land Rover effortlessly and safely. We buy all models of Land Rover, regardless of the age and mileage of your vehicle. Just enter the details of your vehicle and you will receive an instant quote. We make it easy and simple to sell your Land Rover. You can receive fast and immediate payment for your Land Rover. There is no need to place an advertisement and wait for interested parties to enquire about your car. Land Rovers are our specialty and we will offer you a fair price with only the car details. A safe and effective way to sell your car is available today. Try us, it is one of the best ways to sell your car. Land Rover is a British car manufacturer that provides high-class vehicles with four-wheel-drive capabilities. In fact, Land Rover is one of the oldest four-wheel-drive vehicles beside the Jeep. 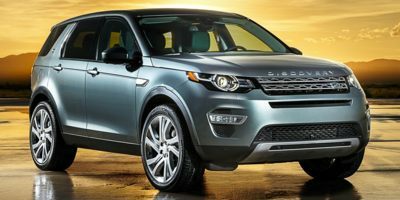 These luxury vehicles offer several different models including the Range Rover, Discovery, Defender and the Freelander. The Range Rover comes in different models such as the Sport, Evoque, and the full size Range Rover. Land Rover cars are built for the road but they drive and feel like a luxury vehicle. These vehicles have power take off which sets them apart from the other four-wheel-drive vehicles on the road. The Land Rover is unequalled and is in a class of its own.